How to get relief from chest pain? I'm taking Concor 5 for hypertension. 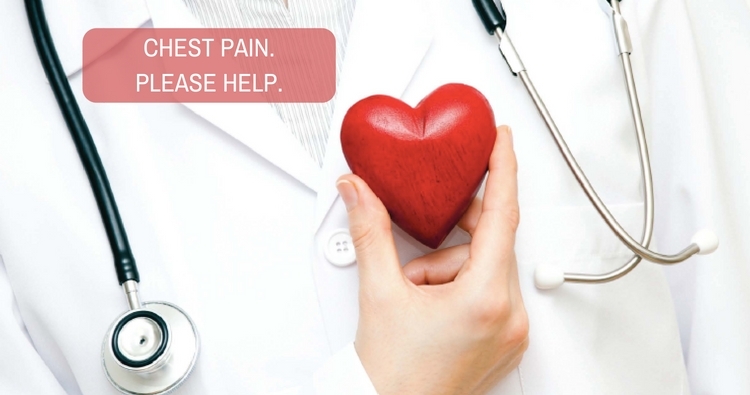 iCliniq › Ask a doctor online › Answers › Cardiology › Chest Pain › How to get relief from chest pain? I'm taking Concor 5 for hypertension. Q. How to get relief from chest pain? I'm taking Concor 5 for hypertension. I am a 39 year old male. My height is 6 feet and weight is 88 kg. My waist is 36 inches. Around 20 years back, I was heavily into sports and a winner of a gold medal at the national level athletics. Nine months before, I was diagnosed with hypertension and occasional mild chest pain or discomfort. I was sleepless, restless and under stress of a prevailing family medical emergency. I was asked to take two trop T tests and they were negative. Then a TMT, which showed some issue at stage 3 and 4. I could not complete the TMT as my legs were paining because of the fatigue. My cardiologist (C1) said it is false positive and prescribed me Ecosprin AV 75, Razo 20 and Nebicard 5 mg. After two months, I felt some mild pain and discomfort. I went to another cardiologist (C2) and he asked for echo, which was normal with mild LVH, 66% EF and grade 1 diastolic dysfunction. But, he said since I smoked for the last 15 odd years, it is better to do an angiogram. A few ECG reports during this time as per the doctor were showing fine. My first cardiologist (C1) said angio is not required and I literally forced him to do the coronary angiogram as I wanted peace of mind. The angio was normal, but it showed a myocardial bridge in mid LAD causing a 30% systolic narrowing. Then, my doctor said it is nothing and it is pretty normal. But, he gave me a whole lot of medicines, including Pinom 40, Ecosprin AV 75, Nebicard 5, Razo 20 and Dilizem CD 90. Since then, the problem actually started. Earlier, I never had pain in the chest. There was only some mild sensation and discomfort. But now, I had pain in the middle and left side, left arm, shoulder and back. I was getting very anxious and my BP would fluctuate. I could not work or do anything properly with concentration. After three months of suffering, I visited my general medicine specialist who stopped all medicines and asked to take only Pinom 40 and Concor 5 for BP and Atorvastatin for lipid though the cholesterol levels were fine. He said that the Ecosprin and Dilizem were causing gastric problems and hence, the chest pain. Also, arranged me to see a well known cardiologist (C3) and he asked me to continue only BP medicines and a Pantocid DSR for a month. He said that it is reflux, which is causing the issue. Since then my pain is down by almost 75%. I saw a gastroenterologist and he also said that I am suffering from GERD. He did an upper GI endoscopy, which was normal. He also did a Helico test, which was positive as in H. plyori. He prescribed Pantocid HP kit for 10 days followed by Pantocid 20 mg twice daily for 60 days. 60 days got over and though things have improved, I still get pain in the chest (left side maximum), left arm and left shoulder. I just do not understand if it is related to the esophagus, then why would there is a pain in left arm and left shoulder pain? Incidence happens mostly after 3 to 4 PM. Someone said that it can be musculoskeletal pain. So, I consulted an orthopedician. The gastroenterologist also said that since I get anxious, it always aggravates the pain and the GERD and gave an opinion that maybe I should see a psychiatrist. I do not know how many more doctors should I see. I am only worried if it is anything to do with cardiac in nature and that is making me nervous and anxious. The cardiologist says that angio is done and it is clear. That is conclusive and a gold standard test. I have started doing exercises and yoga since last six months, diet modification, lost around 5 kg weight (do not know if it is because of lifestyle changes or tension), cut down smoking by 80% (resolve to quit) and very occasional drink maybe once or twice a month. I am on Pinom 40 (morning), Concor 5 mg (evening) and Pantocid 20 mg twice daily. BP is mostly controlled 130-145/80-90 mmHg. But on occasions where I have chest pain, the BP also goes up. Even after seeing all the good doctors with reputed hospitals I do not have a complete cure. Will I ever get rid of this problem completely? Kindly help. • For chest pain, is it necessary to get an ECG or can I manage with medicine? • How to get relief from chest pain? I'm taking Concor 5 for hypertension. • Are chest pain and breathing problem common in pregnancy? It is evident that your solution of one problem led to another. Systolic bridging does cause chest pain and also smoking can cause vasospasm that is, constriction of vessels. Hence, the chest pain will be alleviated only if you totally quit smoking. All the doctors who have treated you have done a good job, although advising you to get an angiogram after a false positive TMT (treadmill test) is odd. Try to keep your blood pressure around 130/80 mmHg. Your drugs are at a minimum and that should also help you as GERD (gastroesophageal reflux disease) can be precipitated by all this and your anxiety. Chest pain has many causes and so you can have a cardiac, neuropathic and orthopedic cause of various types of chest pain in the same person. As a cardiologist I can advise you regarding the systolic bridging and continue Concor (Bisoprolol) perhaps 5 mg twice daily will be good. If this is too troublesome, then meet your cardiologist as a last resort. There are interventional and surgical options, but only as a last resort. Increase beta blockers, totally quit smoking and do meditation. Quit smoking and optimal blood pressure control. Thank you for the reply. I also asked the same to all three of my cardiologists. All of them said that the bridge in my case is only causing 30% narrowing and that too in the systolic phase whereas maximum blood flow happens during the diastolic phase. So, that is nothing at all. The pain cannot be for the bridge, though all of them had advised to quit smoking. I told them that I had drastically cut down on it (from 10 to 12 a day to 1 or 2), but they were not satisfied. I just need to be sure that this is not cardiac in nature as that can be fatal. How can we confirm if the same is the cause of vasospasm, if at all that is the case? Also, would you suggest that I explore the orthopedic angle? Whenever I lift my son holding him close to my chest or I do sit ups, then also it pains sometimes in the chest area. Also, is it common or possible that I am having pain in the left arm and shoulder if the cause is GERD? If sit ups and holding your kid cause this discomfort, then the musculoskeletal angle of chest pain is a real possibility. Usually GERD causes central chest discomfort and not left shoulder, but atypical variants could be there. Coronary vasospasm could be diagnosed only by angiography and the Papaverine test (nobody does these things now). It is only of theoretical value. Finally, I wish to reassure you that your present condition is not life-threatening. How to bring down my BP to normal?Taking Concor Cor 2.5 and Cilaheart 10 for High BP. What is the reason for change in liver function tests? Taking Concor 5 mg for High BP.